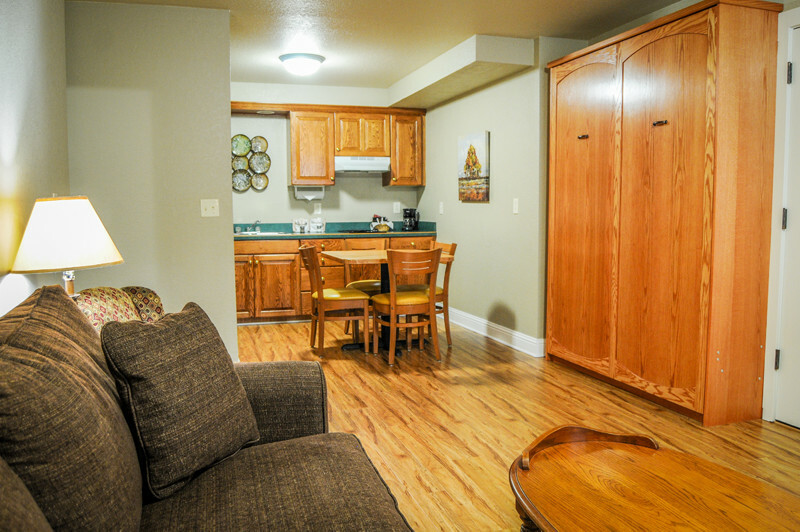 This suite features a newly remodeled kitchenette area with a microwave, sink, stove-top, dining table and chairs. 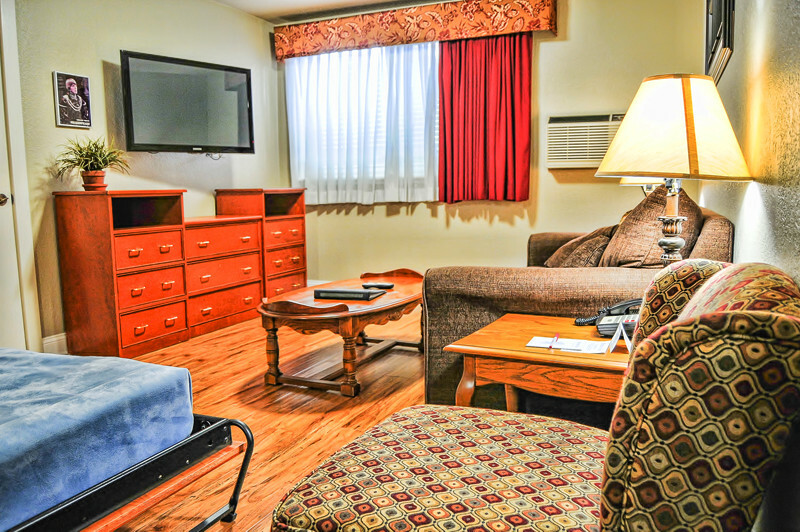 The spacious living room adjoins the dining area, offering a comfortable couch, queen sized pull-down Murphy bed and a large television. 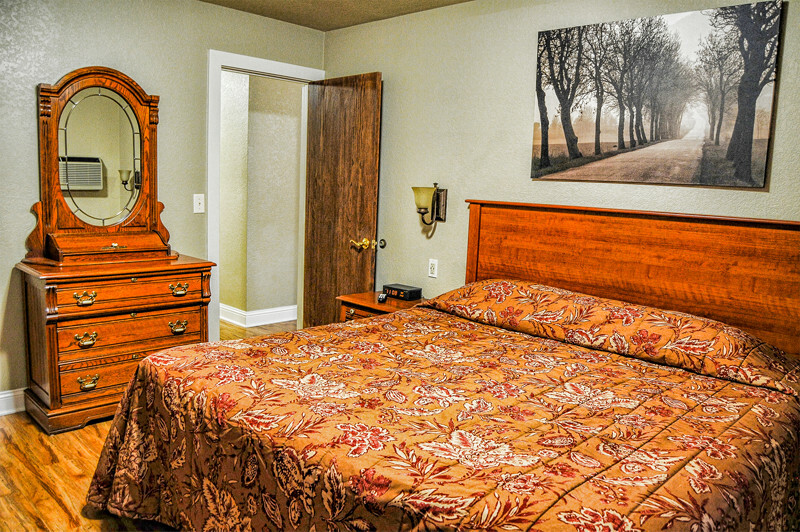 A separate bedroom includes a luxury king sized mattress, writing desk, TV and many other amenities. The large bathroom features a glass-walled shower and a two person whirlpool tub, which nicely completes the comfort of this suite. The secluded King bedroom of the suit room. A wide view of the pull down Murphy bed in the King Spa Suit room. 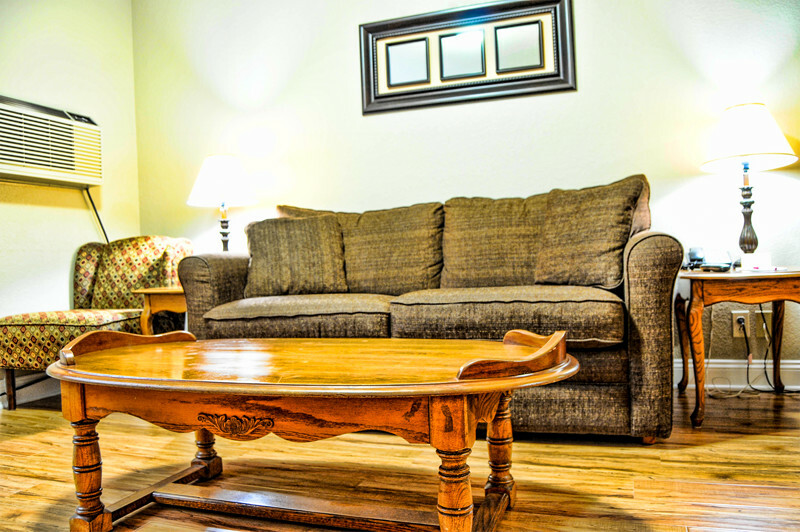 Take a break from your vacation in this very comfortable overstuffed sofa, situated in the suit's living room area. 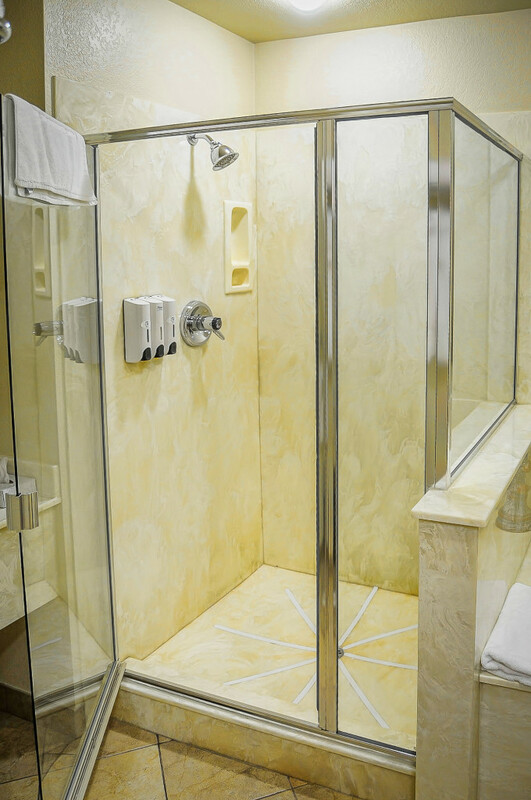 Unrivaled luxury in this suit, featuring matching marble stone spa and stand up shower.